RAMADAN is here once again and Sunway Hotel Seberang Jaya invites you and your loved ones to buka puasa (break fast) at the Sunway Carnival Convention Centre or at the family-friendly Sun Cafe. 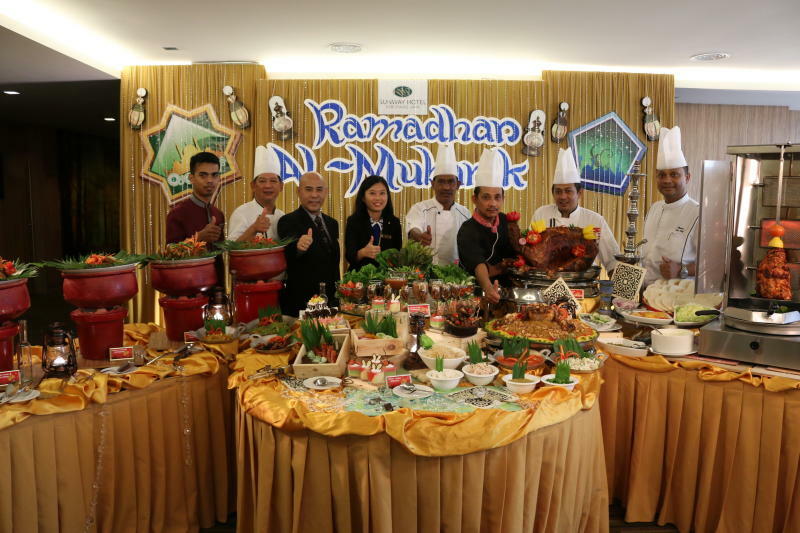 The Sunway team of 15 skilled chefs is renowned throughout mainland Penang for its exclusive array of Iftar dishes every Ramadan, and this year is no exception. The ‘Iftar Ramadan Terpanjang — Gabungan Masakan Melayu dan Arab’ buffet at the convention centre is truly a feast for the senses with its eclectic selection of traditional, local and international flavours. Under the helm of executive sous chef Ismail Mat and sous chef Hamizi Hamid, the team has created four rotational menus to ensure something fresh and exciting during each visit. Your culinary delight will begin at the Pembuka Selera section featuring ulam-ulam kampung, nasi impit serunding ayam, kerabu pucuk pegaga with udang kering, acar rampai and ikan masin papadom, to name a few. Over at the action stalls, a must-try is the signature kambing golek (roast lamb), while others include bee hoon sup Kedah, ikan panggang, asam laksa and bubur lambuk ikan. Satay is served on weekends. 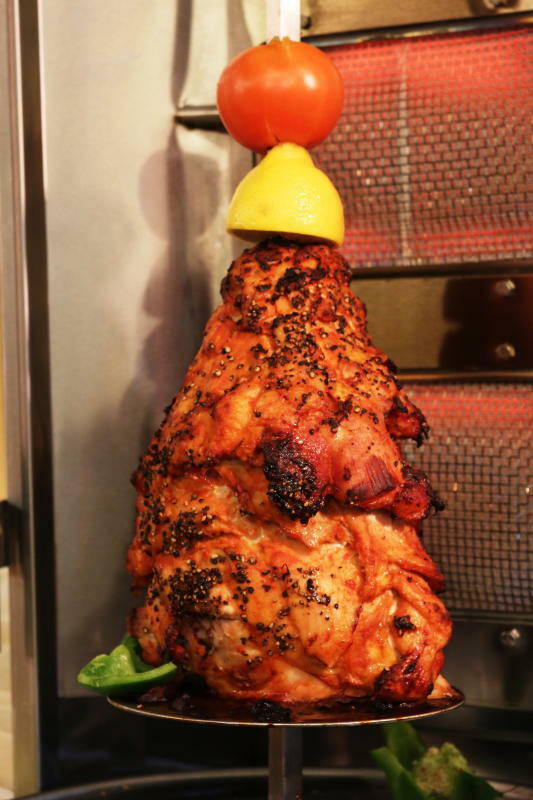 For that extra oomph, head on over to the Arabic Corner featuring tantalising creations such as khabsa pilaf rice with chicken shish taouk, lamb tomato with green pea rice, almond and raisin rice with grilled fish, and chicken shawarma. Also available are gulai daging cincang dengan batang pisang and gulai kambing kentang. Hot dishes consist of ayam goreng biji gajus, udang sambal petai, isi ikan cencaru sambal, kepah masak pedas, bawal masam manis, ketam masak cili pedas, sotong masak kicap and perut lembu lemak kuning. The scrumptious meal would not be complete without sweet desserts like kek gula hangus, marble cake, bubur pulut hitam, kuih seri muka, tako, kueh koci and creme caramel. The buffet starts from 6pm to 10pm daily from Tuesday to July 1. It is priced at RM76 nett per adult and RM42 nett per child (aged five to 12 years old) or senior citizen (above 55 years old). The 20,000sq ft Sunway Carnival Convention Centre can accommodate two buffet lines and nine action stalls. It will host the ‘Iftar Ramadan Terpanjang’ buffet except on June 18 and 19 and from June 29 to July 1, when it will be held at the Sri Cengal Ballroom. Each full paying adult is entitled to a lucky draw featuring fabulous prizes including 3D/2N stay at Sunway Hotel Phnom Penh for two persons (inclusive of travel voucher worth RM1,000) and a 50” television. Additionally, every RM2 from the buffet sales will be donated to selected charitable organisations. Log on to the hotel’s Facebook page at www.facebook.com/SunwayHotelSJ for more details. The hotel team with their mouth watering creations. At Sun Cafe, indulge in an exceptional combination of local and international delicacies in a comfortable and relaxed ambience. The Ramadan Buffet Dinner is priced at RM62 nett for adults and RM38 nett for children and senior citizens. 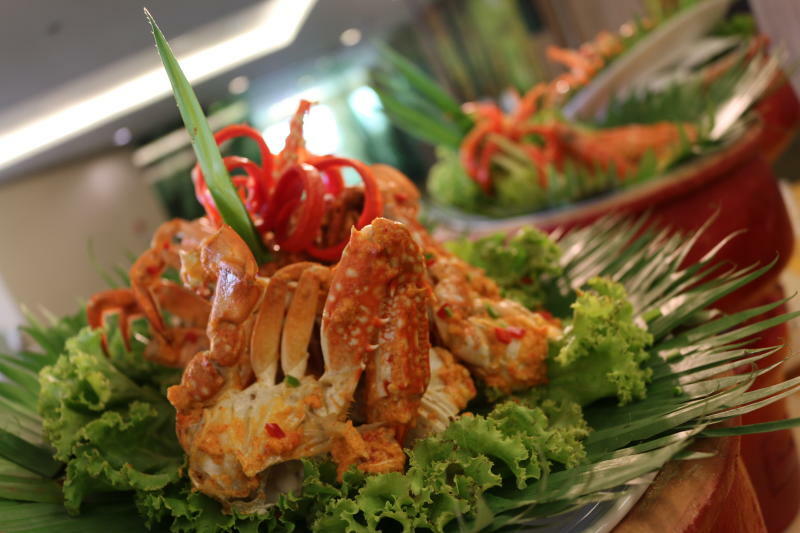 For reservations, call the Food & Beverage Department at 04-3707788 ext 8044/8016 or email dineshsj@sunwayhotels.com. 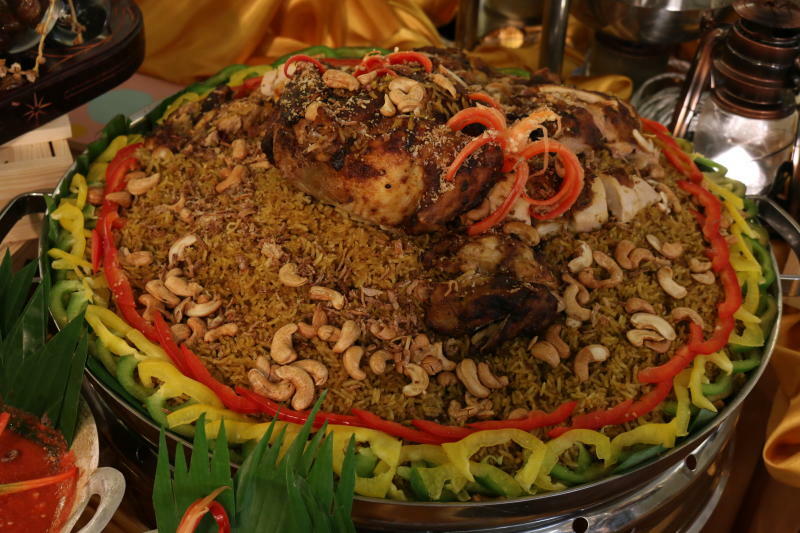 For large groups keen to enjoy a unique Iftar experience, the hotel offers a selection of menus at attractive prices. To know more, please call the Sales & Marketing Department at 04-3707788 ext 8074 from 9am to 6pm Mondays to Saturdays or email salesshsj@sunwayhotels.com.